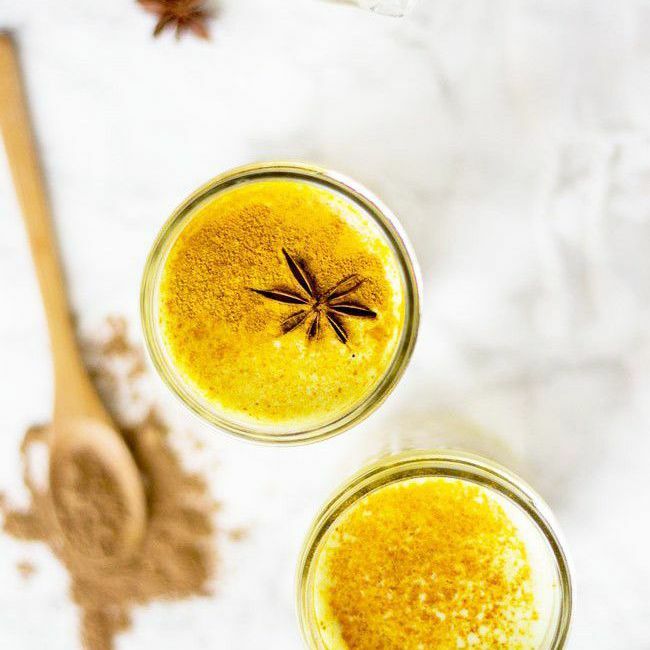 Golden milk—otherwise known as the turmeric latte—is having a moment. For Londoners, it's the beverage of choice right now, but we're a fickle bunch. A few years back, we were all going wild for artisan coffee, then matcha lattes burst onto the scene (they're an acquired taste), and now golden milk is the star of the capital's café scene. Deliciously Ella has turmeric lattes on the menu at The Mae Deli. Even Shoreditch Grind, famed for its coffee by day and espresso martini by night, is serving the hot yellow beverage. Pod, a small health food chain, serves them up alongside boxes of takeout protein salads and Bounce Balls. So why all the fuss? I've been drinking golden milk and chicory coffee as coffee alternatives since I discovered my caffeine addiction was responsible for my terrible snoozing habit in the mornings. If you love your cup of joe or your builder's tea, why would you switch or swap to a turmeric latte? Well, while caffeine may give you a jolt of energy, turmeric has a plethora of health benefits that make it well worth incorporating into your diet on the daily. Keep scrolling to find out more about this trendy new beverage. Someone who knows a lot about this Indian spice is Zoe Lind van't Hof, co-founder of Wunder Workshop, the golden latte company almost single-handedly fueling our appetites for the drink. You can buy pouches of the original, chai and cacao blends on its website, but they are also the brand used to create the turmeric lattes at The Mae Deli, Le Pain Quotidien and Pod. "Turmeric's active ingredient curcumin is effective at reducing chronic inflammation caused by everyday toxins found in the air, diet and stress. Recent scientific studies have shown its potential for treating arthritis, Alzheimer's disease and even its effectiveness against certain cancers (particularly bowel cancer)," says Lind van't Hof. 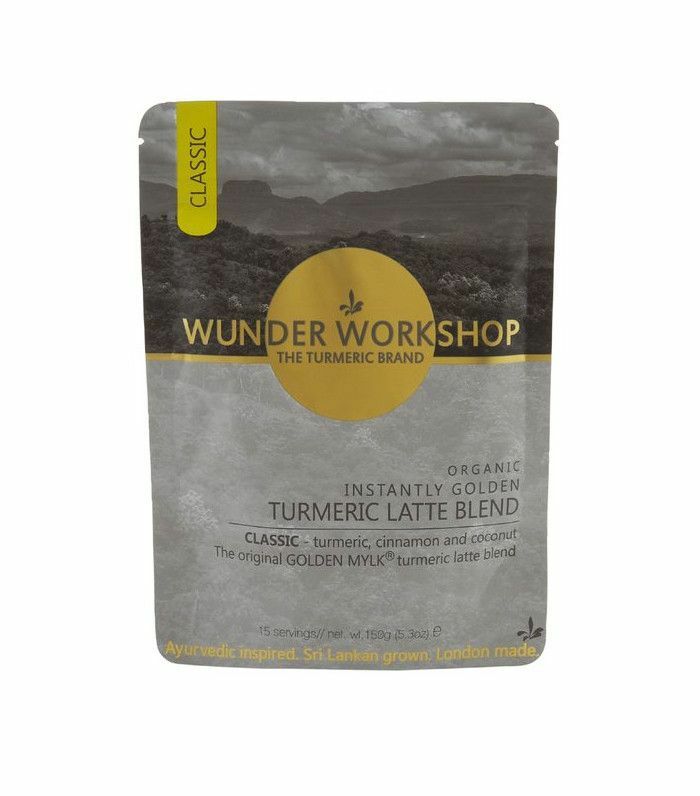 Wunder Workshop's pre-blended spice powders make creating a tasty turmeric latte at home easy. You simply create a paste with your powder of choice and hot water, and then add hot milk (coconut or almond taste great). Sweeten with a little agave to taste, and top with a sprinkling of black pepper. It's a slightly acquired taste since turmeric has a hot, earthy flavour, but when blended with almond milk and a little agave, it's incredibly warming and soothing. It doesn't feel as naughty as a hot chocolate, but it's definitely as tasty. Alternatively, if you want to make your own turmeric latte from scratch, Goop has a good ginger and turmeric latte recipe. "Turmeric lattes are a great coffee alternative as they are caffeine-free yet their bittersweet taste is sure to keep your cravings in check," adds Lind van't Hof. 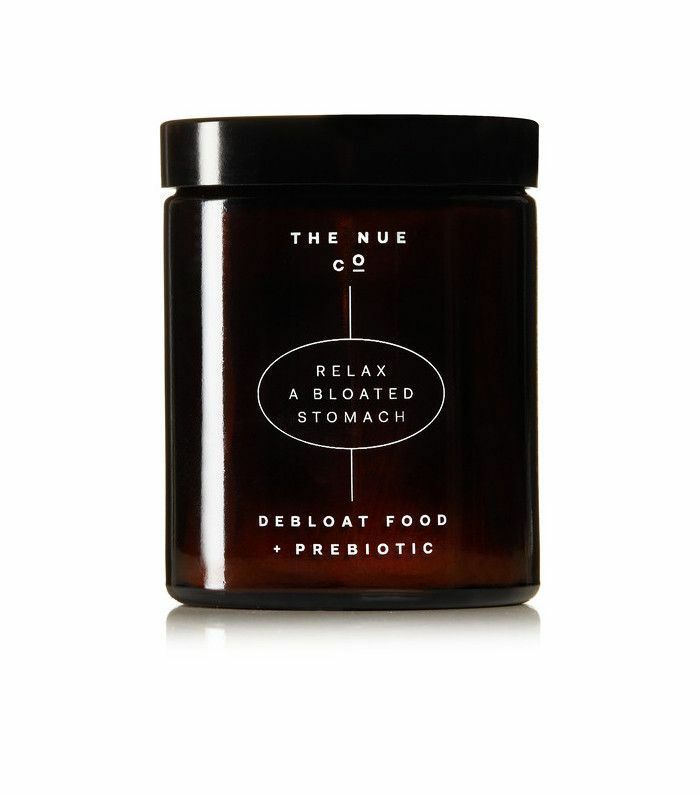 Juliana Miller, founder of supplement line The Nue Co., incorporates turmeric into her Debloat Food + Prebiotic (£55). Technically this isn't a golden milk, however it contains turmeric and the prebiotic inulin and can be blended with almond milk (or another milk of your choice) and ice to create a chilled latte. When I asked why she included turmeric in her de-bloat offering, Miller revealed, "Turmeric can help soothe upset stomachs, ease gas and wind and regulate acidity." Studies back this up, with one double-blind study finding that individuals suffering dyspepsia (which causes digestive issues like gas, bloating and nausea) saw relief from their symptoms after ingesting curcuma (a derivative of turmeric) four times a day for seven days. "We have also included the prebiotic inulin in our blends, which stabilises blood sugar levels and feeds the healthy bacteria in your gut," says Miller. "If used as a latte substitute, we suggest a sprinkling of black pepper. This not only balances the flavour of the turmeric but also helps the body absorb the curcumin more efficiently." You may not be able to ditch your hot drink of choice, but this healthy, tasty golden milk will definitely give them a run for their money. Next up, how to trick your brain into making healthier choices.